Kore Studios offer clients an endless choice of great recording studio equipment, featuring pieces from both large high-end brands and small home-grown suppliers. Microphones, preamps, compressors, pedals… you name it, we’ll always supply the best gear for your needs. Click below for more details on our consoles and microphones, and peruse our recording studio equipment list for an exhaustive inventory. To get a more comprehensive idea of the gear found in Kore Studios, please see below for our full recording studio equipment list. Every piece of equipment we own can be found here on this list, and we update it regularly for new additions (we're always adapting to shifting musical landscape). Whether you’re looking for a specific vintage ribbon mic or a rare 70's compressor, we hope this list gives you some clarification. If you like what you see, please get in touch to book in some studio time with Kore. 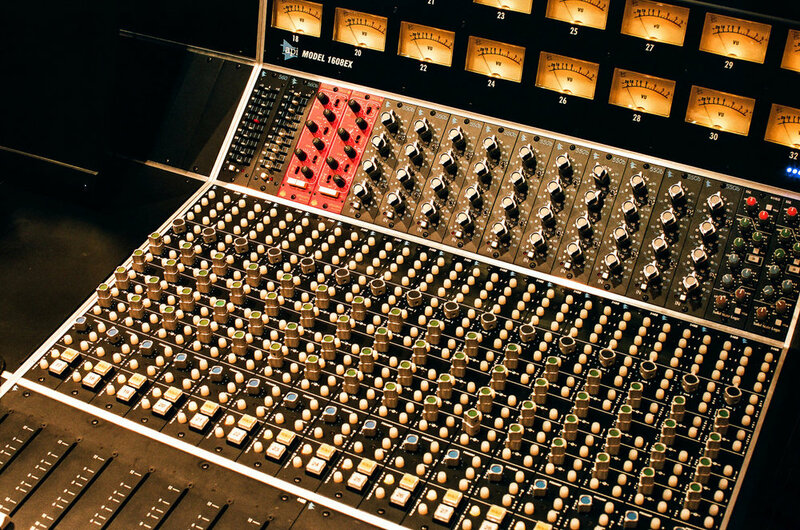 Kore Studios installed their API 1608 console in 2014. In this video, owner George Apsion discusses how the API has changed business for the better at Kore.